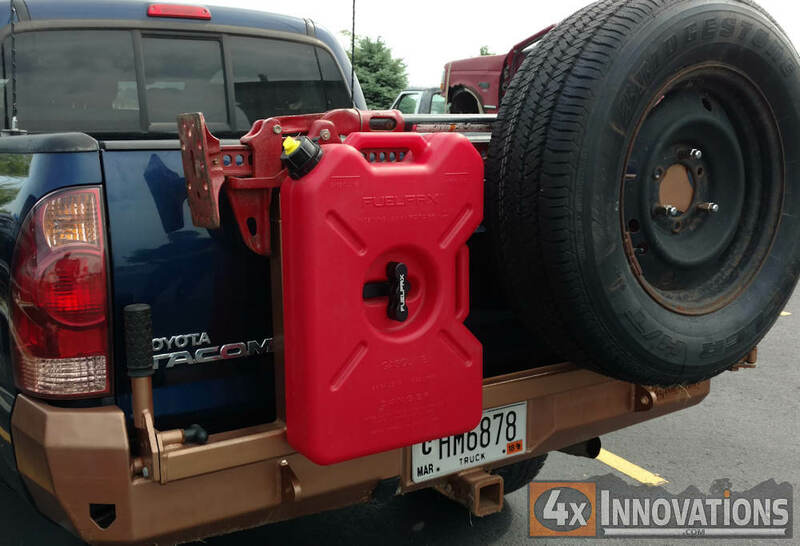 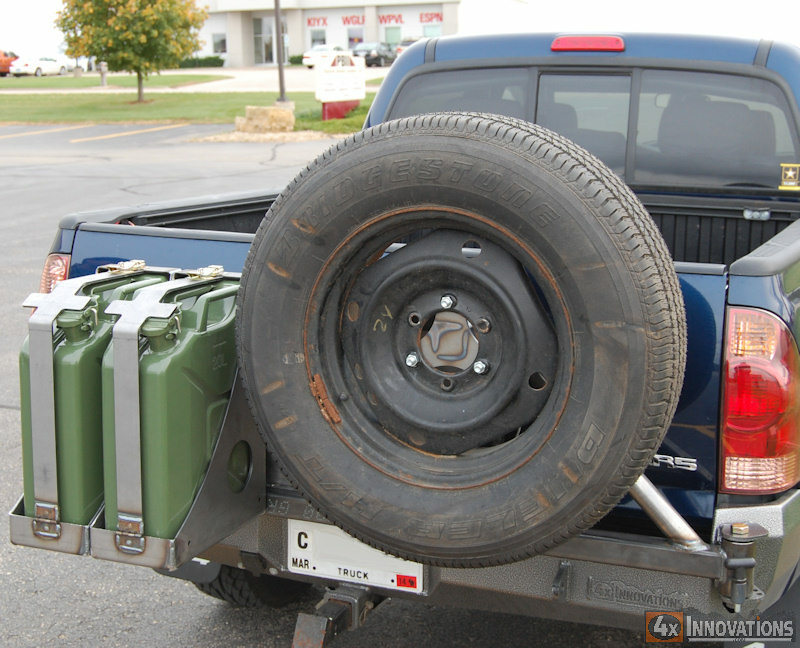 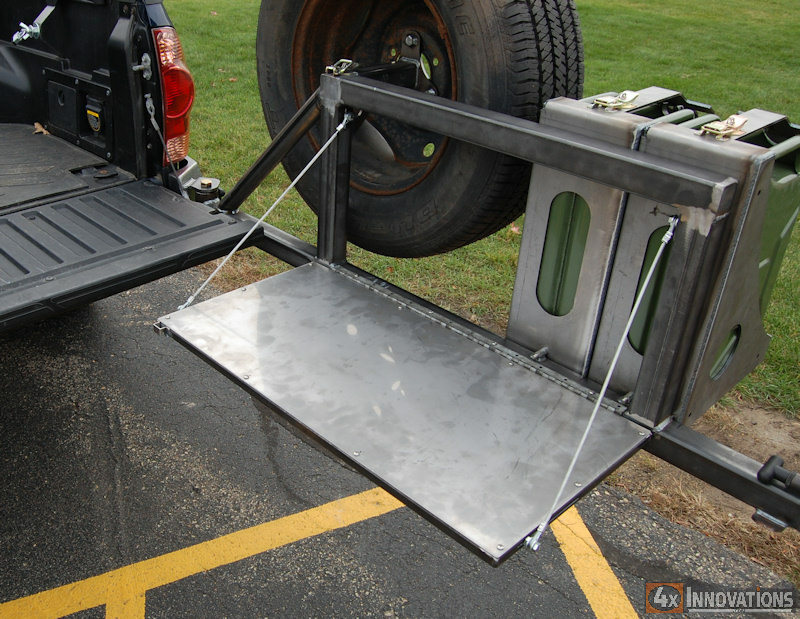 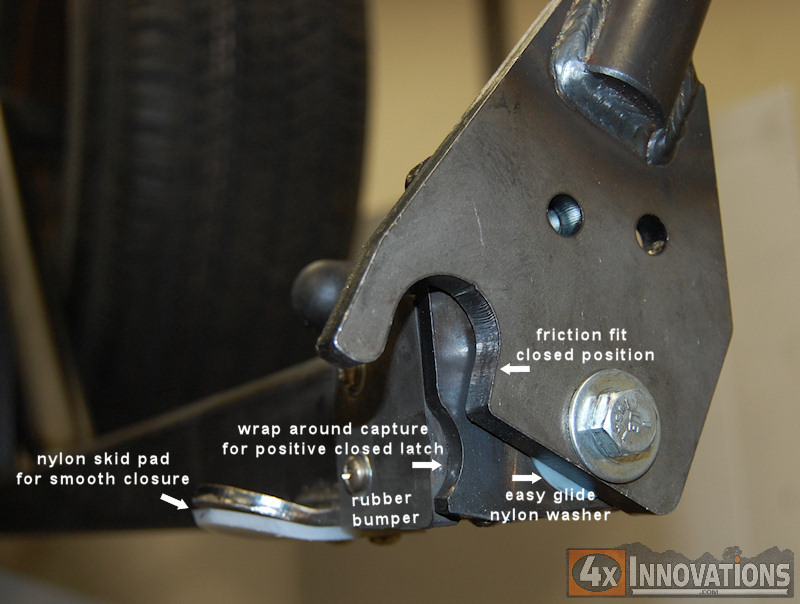 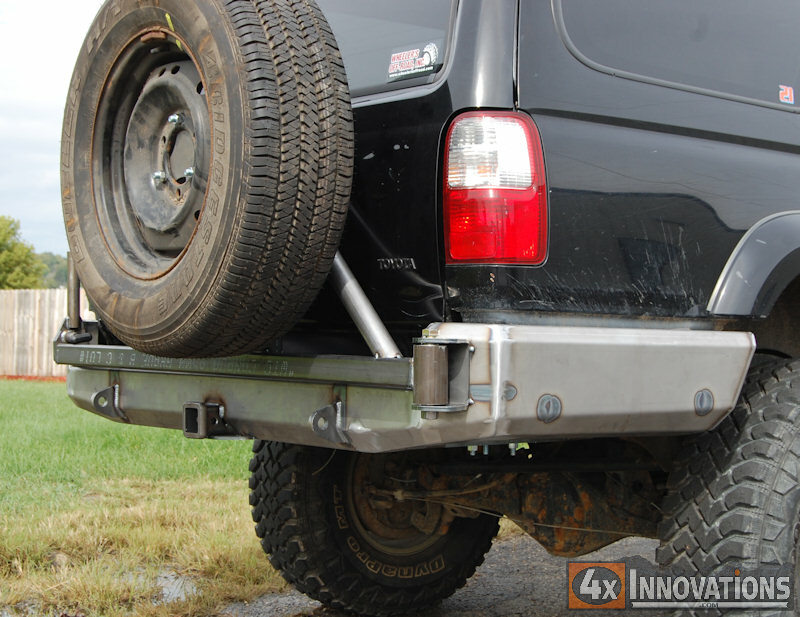 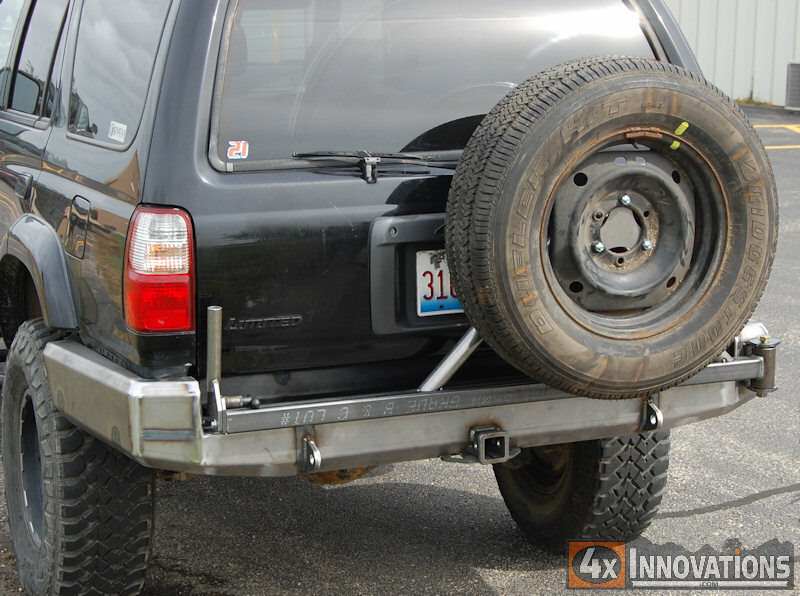 4x Innovations has developed a new Swing Out Tire Carrier system that solves many problems seen on other types of carriers. 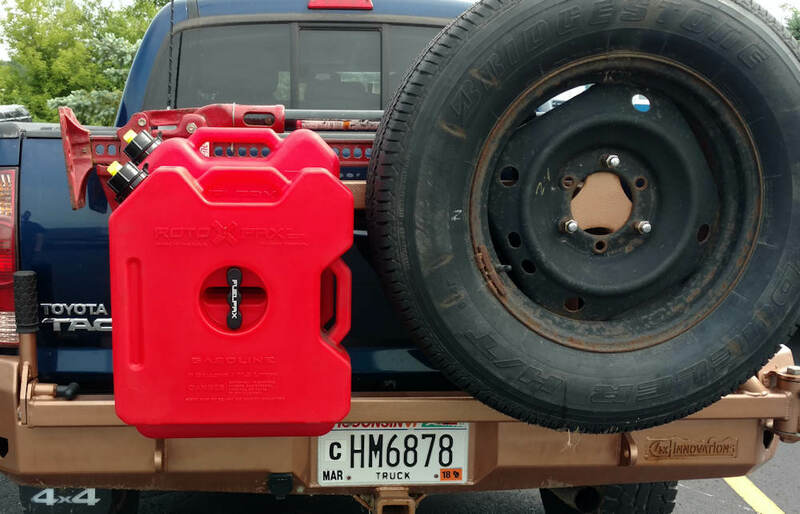 Tire mounts with factory Toyota size lug nuts, 6 x 5.5 bolt pattern. 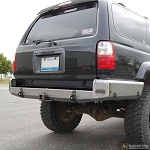 Optional license plate mount with license plate lights. 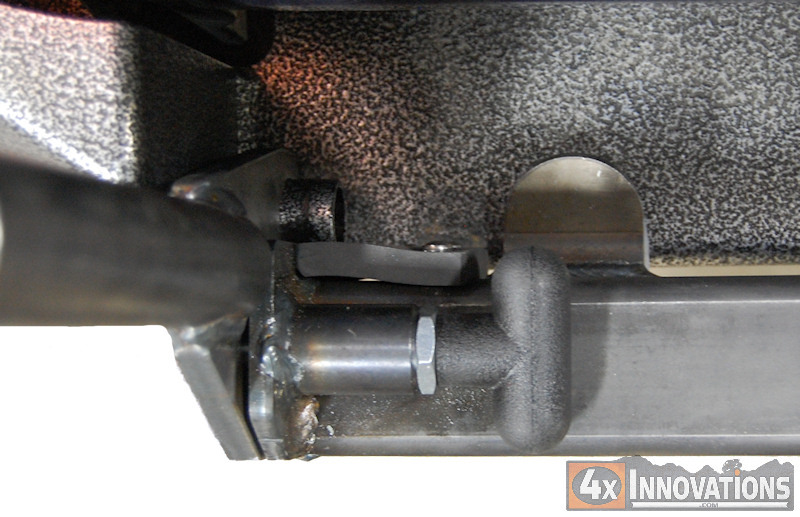 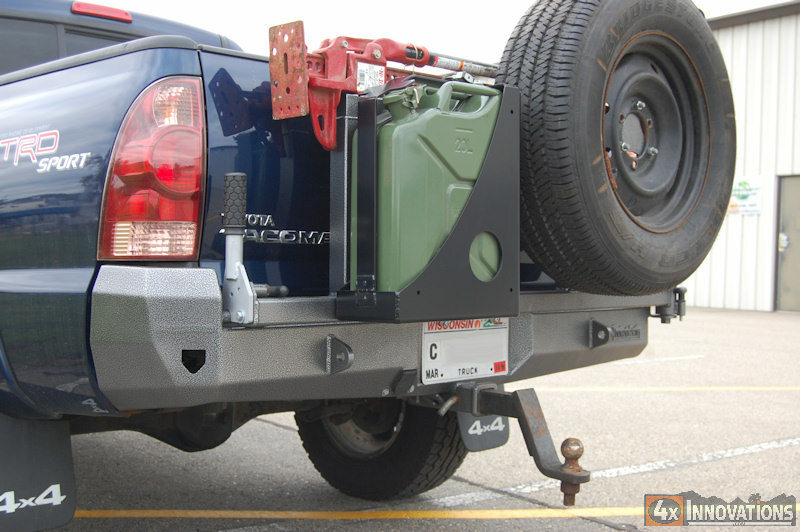 *This listing is for a tire carrier kit that is the tire carrier fully assembled and welded except the latch end plate. 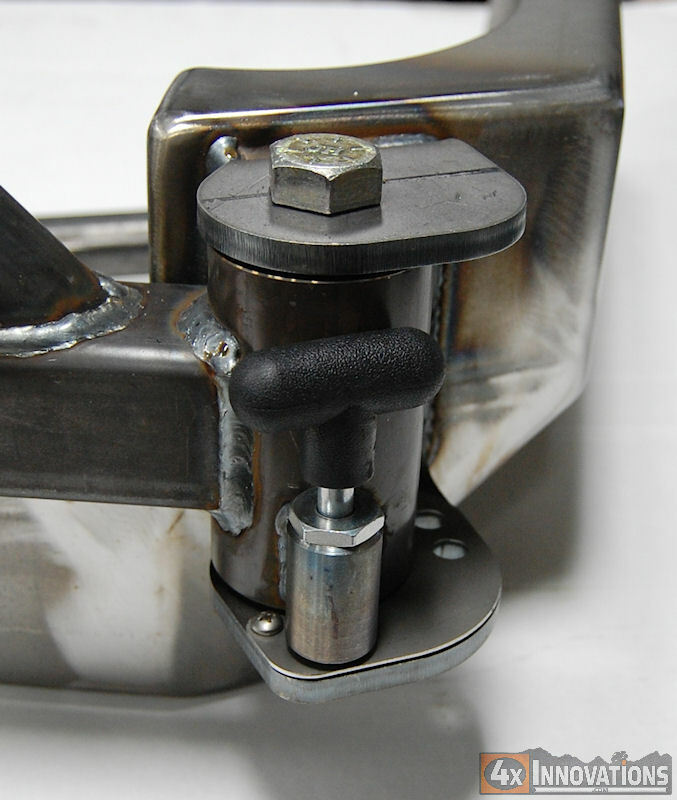 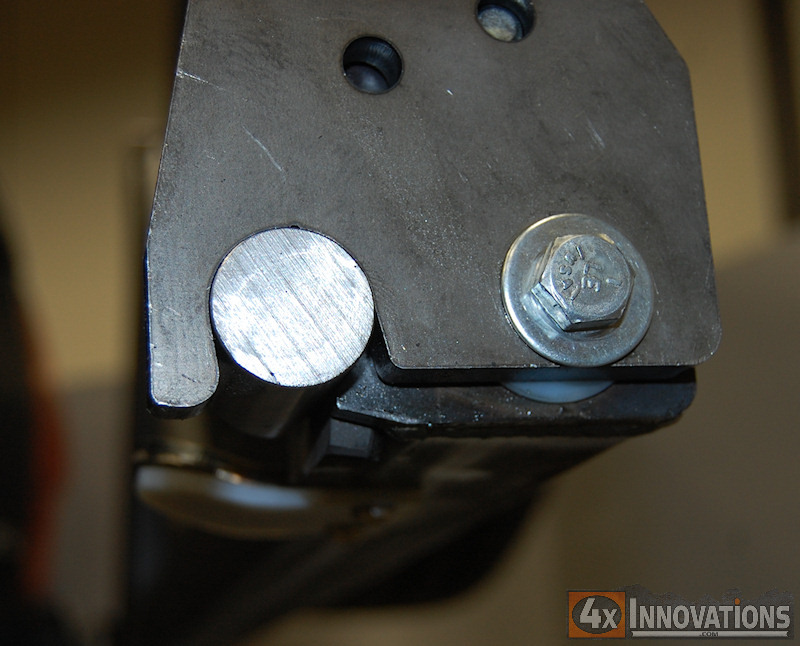 When ordering this kit you will need to cut the main tube to length, weld the latch end plate to the end of the carrier, as well as provide sufficient mounting points for the hinge and latch catch stud. 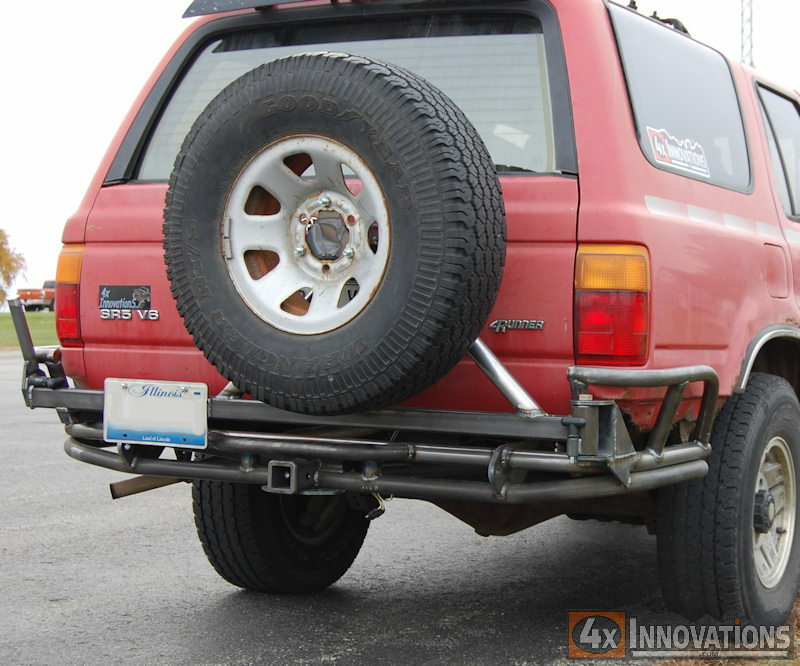 If you order this product listing with a rear bumper, your tire carrier will NOT be assembled onto the bumper. 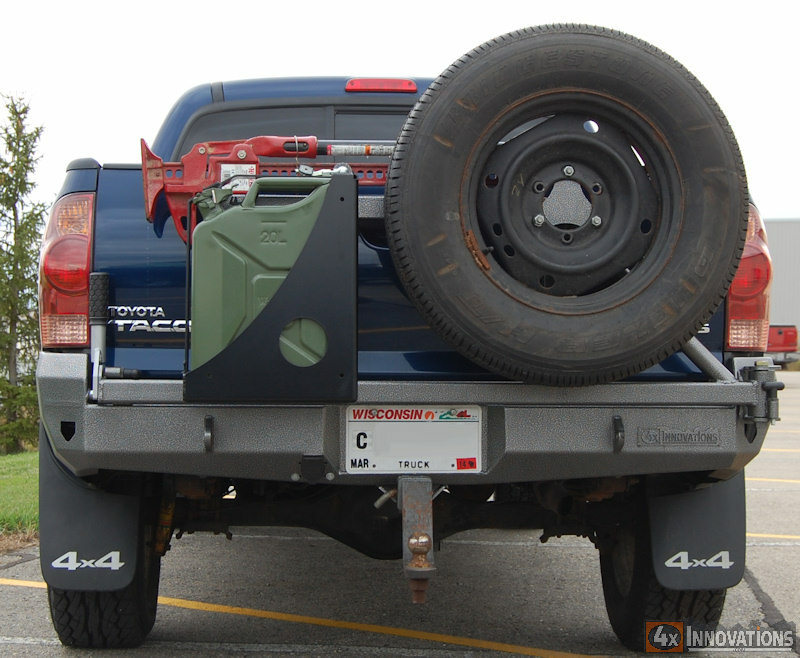 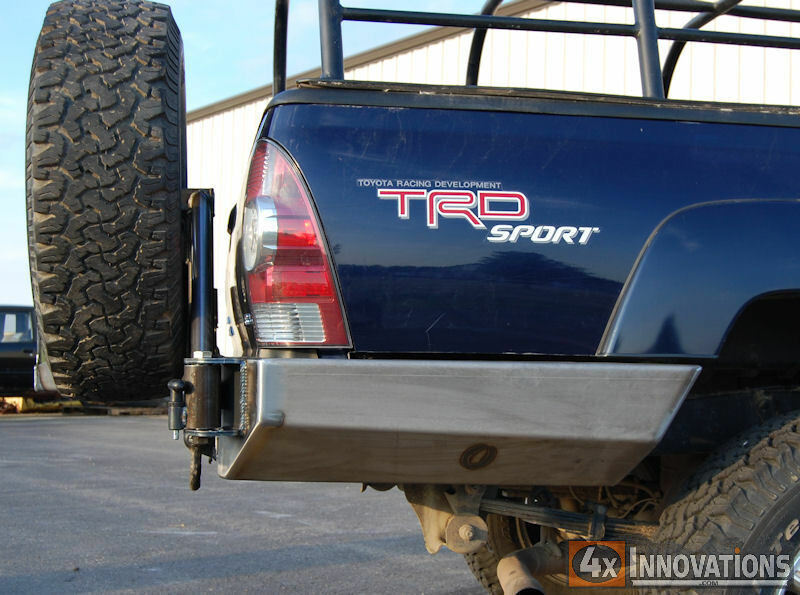 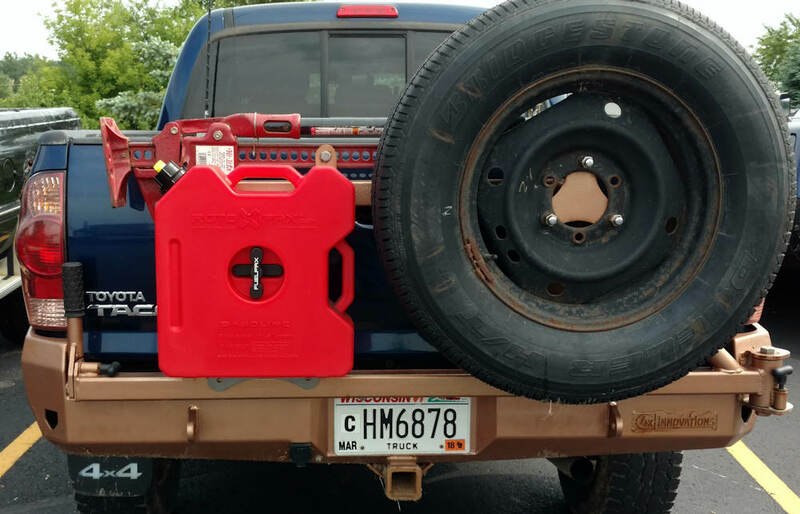 You must order the tire carrier as a part of your bumper options on the bumper product page for the tire carrier to be fully assembled and aligned onto your bumper.